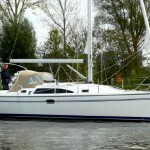 A seller will expect my knowledge of his vessel to be equal to his own when considering listing his vessel with me. 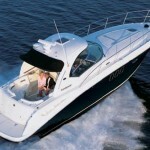 My experience is well versed in selling either power boats or sailboats up to 65′. Jan is a most experienced and highly motivated marine professional. After retiring from a career in aviation and aviation sales, Jan became an active full time in boat sales. 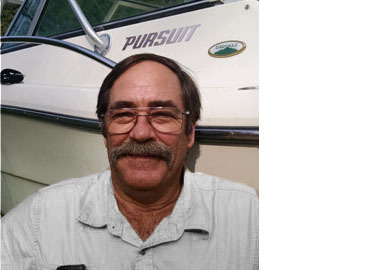 His lifelong passion for the boating lifestyle makes him focus on what’s important: Getting his customers out on the water. 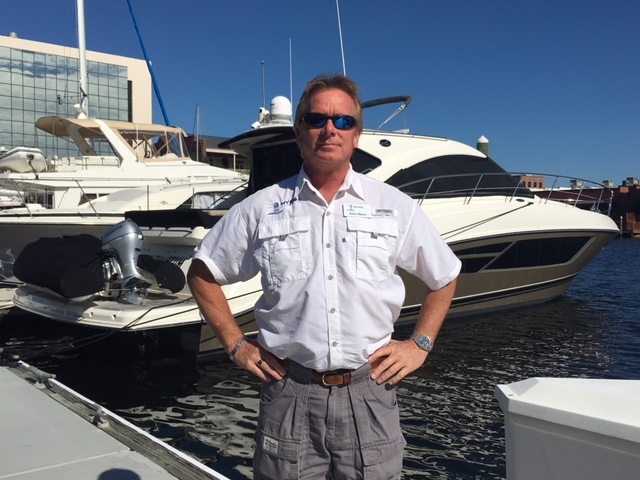 Jan’s extensive marine knowledge and high level of service and personal interaction with his customers will make your experience of buying or selling your boat stress-free and happy one. Captain Buddy Rogers is a local boat Captain who is a licensed USCG 100 Ton Master with a sailing endorsement. Captain Buddy has safely logged thousands of trips offshore, in our local waters, the Florida Keys, and the Bahamas over last 30 years. During Captain Buddy’s long career, he has specialized in both fishing and scuba diving charters as well as power and sailing yacht deliveries throughout the Bahamas, Florida, Alabama, Mississippi, and Louisiana. He has also logged significant time as a private boat captain. He has also managed the construction of vessels, including his own “Reel Eazy”, a 46ft. Newton multi-passenger charter for hire fishing vessel. Captain Buddy’s wide array of experience in the maritime world is very important to his customers because he knows what makes a vessel reliable, safe and a good investment. He understands the concept of the right vessel for the right job and he knows instinctively those small things that will make a good boat, a great boat. Due to his career as a charter boat captain, he is very knowledgeable in Coast Guard regulations, inspections, haul outs, hull inspections, mechanical and electrical inspections as well as operational requirements. 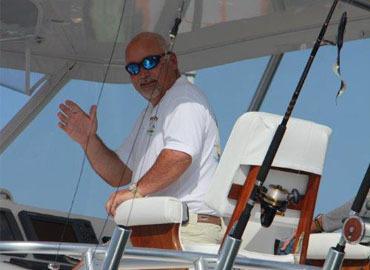 He also knows the fun side of boating because, in addition to working as a private yacht captain in the Florida Keys and the Bahamas, Captain Buddy has enjoyed his own sports fisherman to include a Proline Express, Rampage Express, Cabo Convertible and his current 44ft. Sea Ray Sedan Bridge. In the winter months, Captain Buddy enjoys taking his family and friends in search of warmer weather to Key West, Clearwater, and Tarpon Springs for some hard earned R&R…. and searching the local boat markets for his customers. So if you are selling or buying a vessel, Captain Buddy is the best choice for your next vessel purchase or sell, you not only gain a licensed and bonded sales professional, but a valuable consultant. It all started at a very young age, fishing the Gulf of Mexico with my father. It developed into my first boat at 13 years old and running the rivers and bayous of Louisiana. Then working Summers as a mate on a 56′ custom Corporate owned sportfish, where we would take two and three-day trips offshore with customers. I worked my young adult life in the oilfield which afforded me every other week off to ‘play’ on the water. I had the opportunity to lease a small boatyard and managed that for a few years which developed into brokerage sales, where I met a client who wanted to get into new yacht sales and we partnered up. 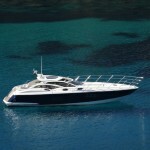 We sold and serviced Tiara Yachts, Pursuit, and Silverton Yachts. After a while moved back into brokerage sales, where I sold and delivered yachts up to 75′. I participated in deliveries from Texas to Jamaica and north from Maryland (my latest), with several from all points in Florida. I have also run boats in the Virgin Islands. I purchased a Volvo Penta dealership and operated that along with brokerage sales for several years, and have been certified as a Volvo Penta service tech, along with several other training schools to round out my service experience. To say I have dedicated a lifetime to selling and servicing yachts and boats would be an understatement. Almost every client I’ve ever worked with has called back for buying, selling, or servicing. I take great pride in working out the details to make the experience as enjoyable as it can be. I am also a Coast Guard Licensed Captain and currently own a 26′ Pursuit. During 2016 and 2017 Bill visited 47 different states and numerous foreign countries to assist buyers locate and transport over 22 million dollars in yachts worldwide. 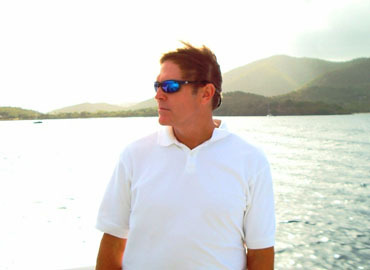 Bill’s experience includes owning and managing a charter business in the British Virgin Islands for years and his detailed knowledge of both power and sailing yachts is extensive. He is always focused on helping his clients make the right decision finding a yacht that best fits their lifestyle and needs. If you’re looking for a hard to find specific boat; one that may be difficult to locate within close proximity or hard to find in the condition or with the options you need; then Bill is the broker best suited to help you with your search. 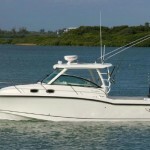 Bill specializes in locating larger yachts nationwide and worldwide for discerning customers. Recently Bill imported a 1.7 million dollar racing yacht from Dubai for a buyer in San Diego – he shipped a vintage 30 ton crew boat from New Orleans to Antiqua for a new movie production of Peter Pan – helped a charter service in Kauai buy, refit and ship a 33’ Bertram from Orange Beach, AL and sent a rare 1899 sailing cutter back to South Hampton, England from Bellingham, WA. 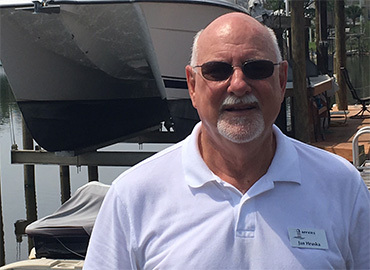 Bill’s unique experience and knowledge open up a world of buyers for all boats listed with Myers Yachts and his hands on ability to locate and ship your dream yacht worldwide is an extra bonus for any buyer.